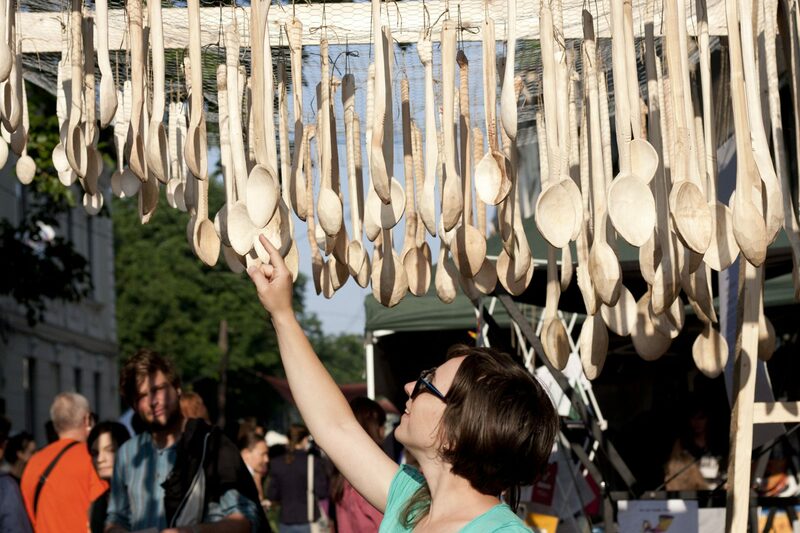 The spoon installation at Street Delivery Bucharest is a result of the collaboration between young designers and local craftsmen from Spanțov village, Romania, organized by PACT Foundation. Kaptura de Aer (Cristina Enuță & Veronica Olariu). 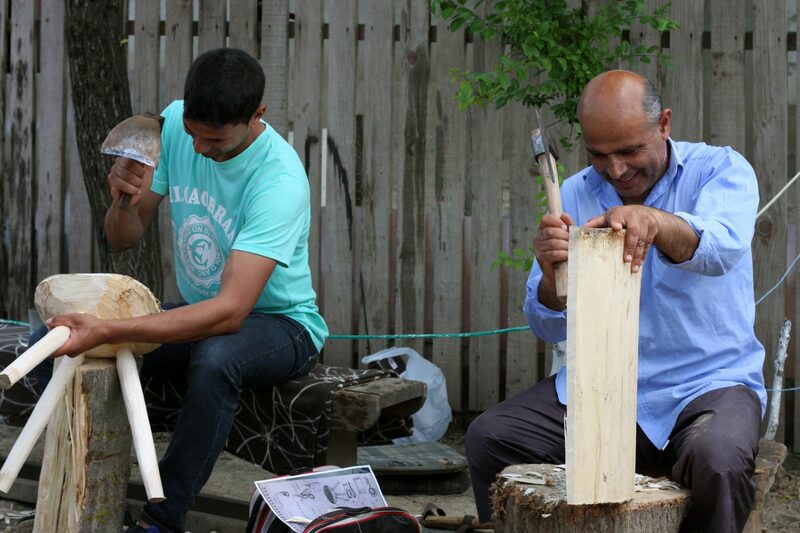 Marian Panait, Gheorghe Costea, Nelu Costea and Gheorghe Ion worked over 300 spoons of untreated poplar in their household and used traditional methods and tools. The installation has the purpose of drawing attention to the craftsmen from Spanțov and the objects they are doing. 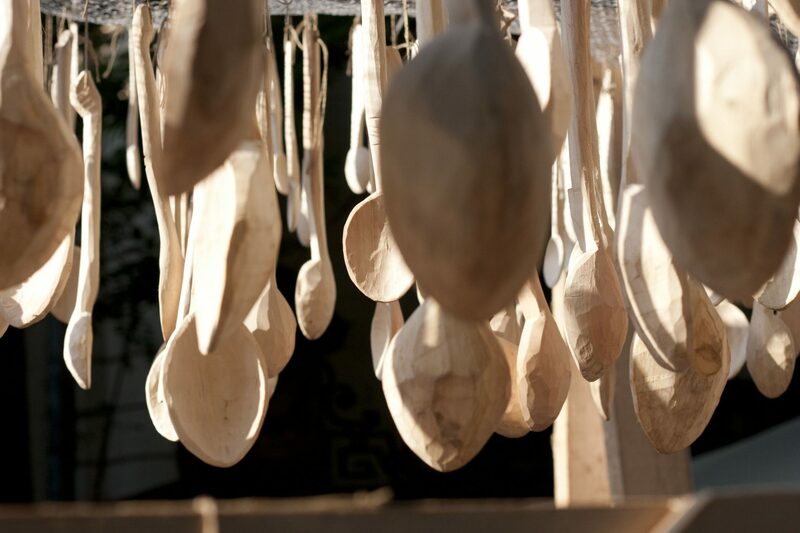 The idea came up while interacting with the craftsmen, seeing them at work, but also from the interaction with the texture of the wood, from the characteristics of objects and the fact that the most common objects made by them were the spoons. Besides, what seemed interesting was that they were making spoons of different sizes. 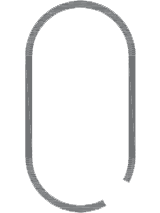 In addition to the small ones, the one meter long spoons are somewhat out of the ordinary for what we are accustomed to in modern life because they have had a purpose in traditional cooking. 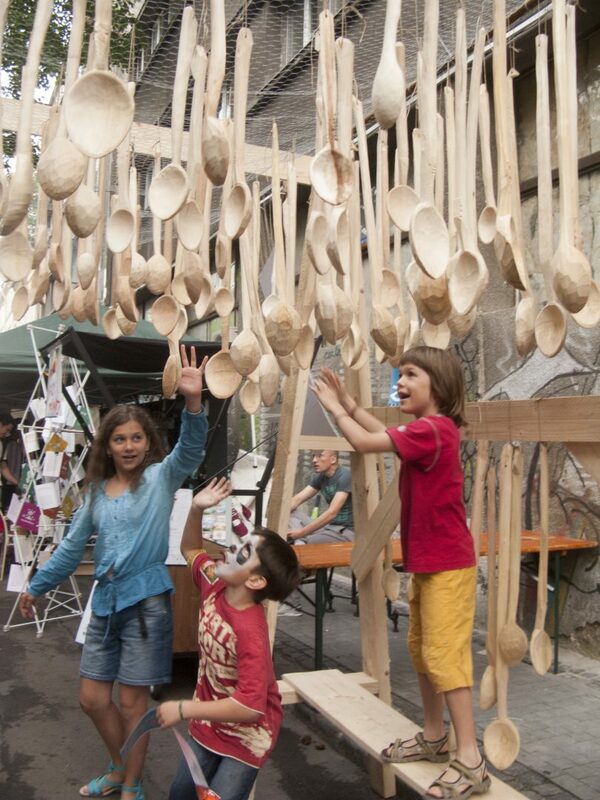 So the idea came to use all these spoons from their workshop in a different way: in an installation that would play with these scale differences and create a shaded and playful space to interact with. You can reach the spoons and gently hit one against the other and they will sound so pleasant. 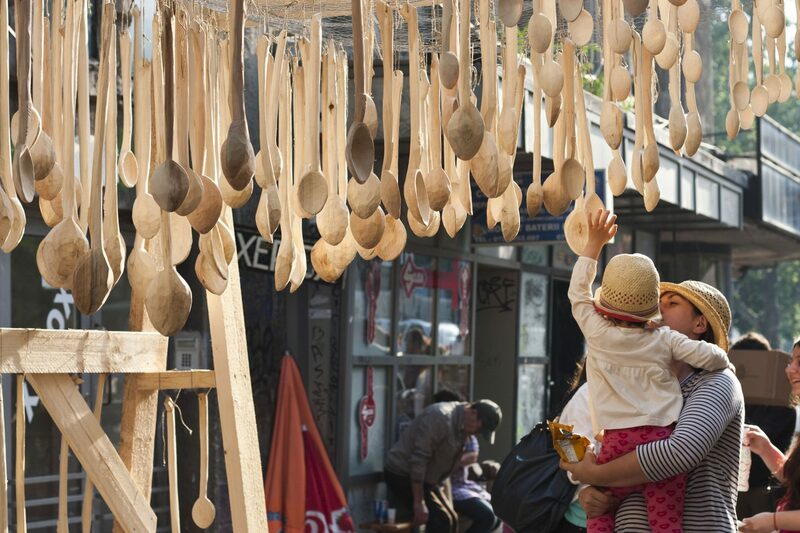 So, the spoons that up until now had a utilitarian purpose (associated with cooking most of the times) are briefly given a new role by interacting with the public in an urban space, says Ruxi Sacaliș.